This June we are focusing our attention on the Top 5 Podcasts that we had in 2017. They are a great mix of topics from real estate, taxes, and the ever popular side hustle. My friends, in this show, I try and dig deep to find interesting people. As a matter of fact, our next guest was featured on the August 27th, 2016 episode of Dr. Nii Darko’s podcast, Doc’s Outside The Box. She was a top performer in medical school, and then got to the point of struggling with whether or not she wanted to be in clinical medicine. Fresh out of residency, she decided she not to. In this interview today, we’re going to talk about her journey and successful transition, because now she is helping other physicians do this as well. 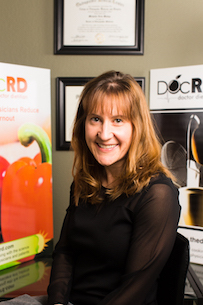 Please help me welcome Dr. Michelle Mudge-Riley from Physicians Helping Physicians. Welcome Michelle! Discover what led Dr. Mudge-Riley away from clinical medicine into helping other physicians who also want to escape clinical medicine. Be inspired on how taking the road less traveled can lead to the greatest successes. Gain knowledge on how Physicians Helping Physicians, Dr. Mudge-Riley’s organization, develops customizable plans for each of their clients. Learn from Dr. Mudge-Riley’s mistakes and acquire the right tools and protocol to protect yourself if you decide to also move away from clinical medicine.